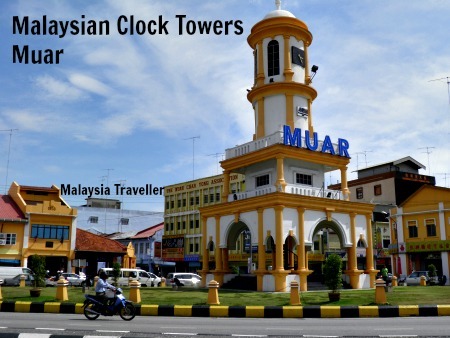 Why are there so many Malaysian clock towers you might ask? Well, in the days before mobile phones and when not everybody could afford a watch, a clock tower was a useful way for the population of a town to know the time. 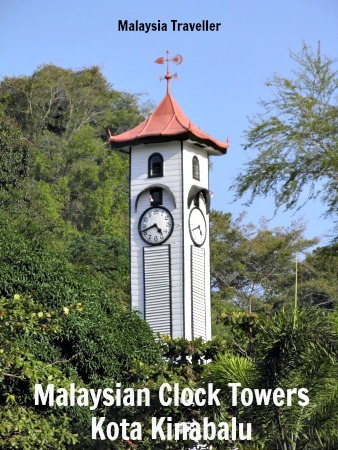 Malaysian clock towers come in a variety of shapes and sizes, Some are quite modest affairs while others were built to impress and demonstrate authority. Many were built during colonial times and commemorated events like coronations. Others were paid for by wealthy philanthropists wanting to leave their mark on their town. 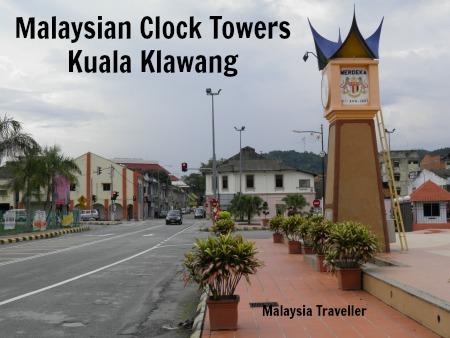 Here is my selection of Malaysian clock towers which I have photographed while travelling around the country. 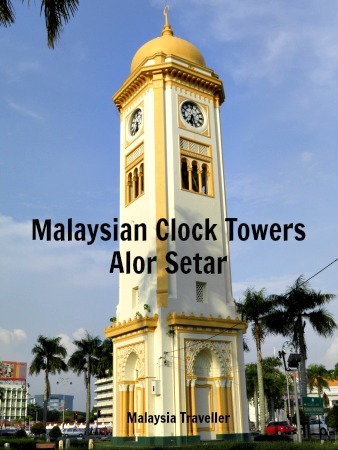 This clock tower was built in 1994 to commemorate Johor Bahru achieving city status. It overlooks playing fields and is in front of what was the Johor Civil Service Club which was formed in 1920. 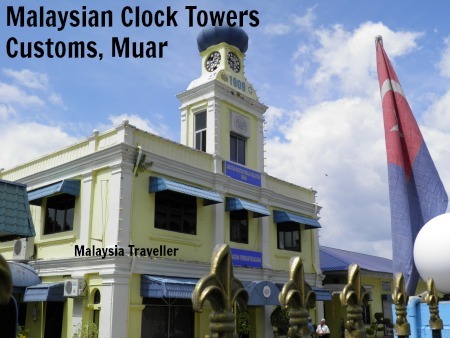 This modern clock tower is one of Muar’s most prominent landmarks. 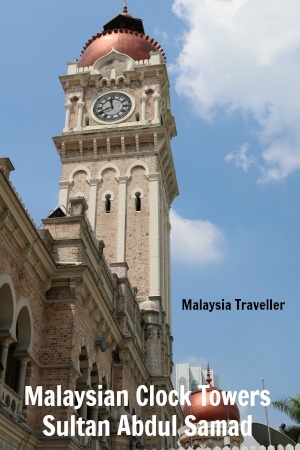 This clock tower tops the Royal Customs and Excise Building, a heritage building dated 1909 but whose facade has been spoilt by the installation of modern windows. 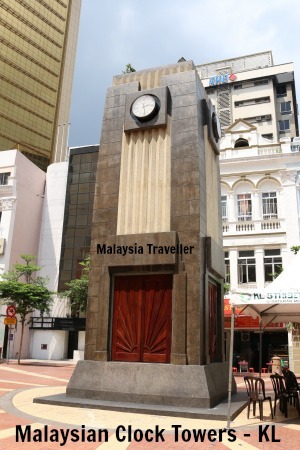 This clock tower, known as Menara Jam Besar, was built in 1912. 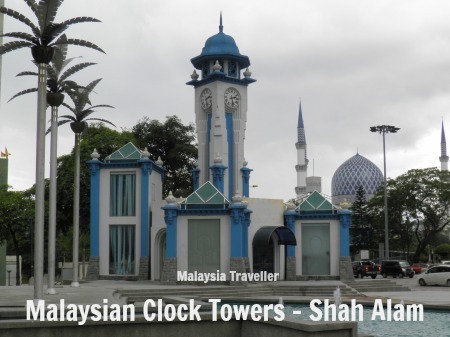 It is located opposite Zahir Mosque and the clock would have assisted the muezzin to confirm prayer times. 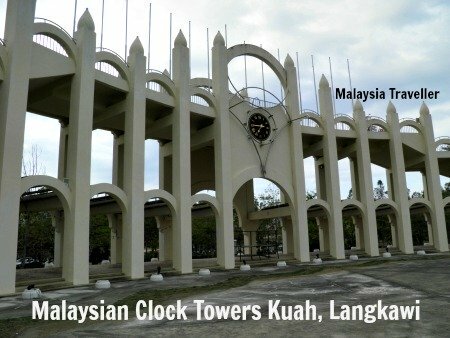 This clock tower was built in 1936 as a gift from a Chinese businessman to mark the silver jubilee of King George V.
This unusual structure with clock is found in CHOGM Park, Kuah. CHOGM stands for the Commonwealth Heads of Government Meeting which took place here in 1989, the year when the clock tower was built. 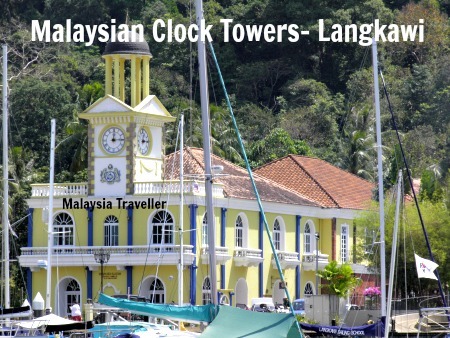 This smart yellow building with clock tower is located at Telaga Harbour Park, Pantai Kok, Langkawi. 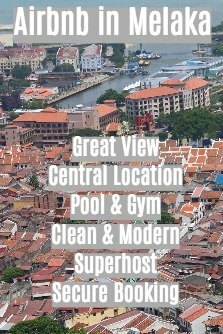 It provides customs and immigration clearance for the yachts arriving at this marina. 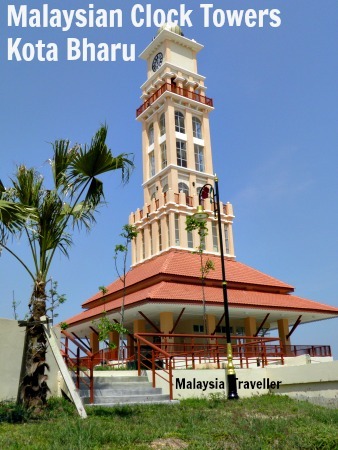 This imposing new clock tower is located at the riverside at the far end of Merdeka Square in Kota Bharu. This clock tower was commissioned to commemorate the coronation of King George VI in 1937 but the memorial plaques were removed following Independence. The sunburst motif on the lower panels is typical of Art Deco design. The clock tower has recently had a much-needed facelift after years of neglect. 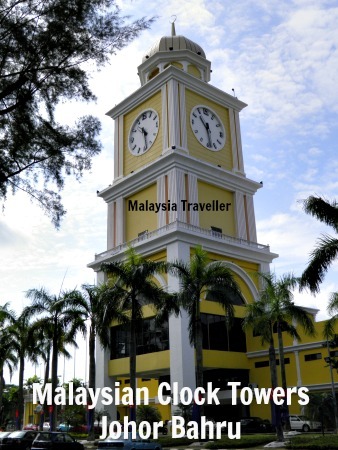 Probably the most famous of all Malaysian clock towers is the Sultan Abdul Samad building on Merdeka Square, built between 1894 and 1897. 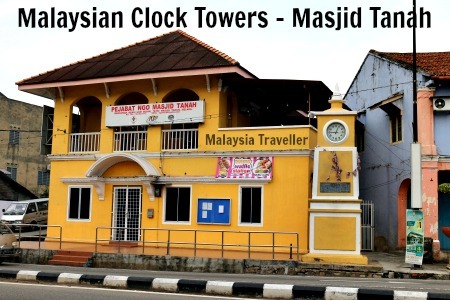 This clock tower bears an inscription in Bahasa, Tamil and Chinese informing that the clock marks Malaya’s independence and was built with donations from all races in Masjid Tanah and is dated 31/8/1957. 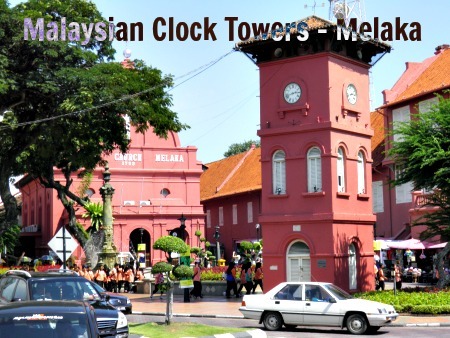 This red clock tower in the heart of Melaka was built in 1886 to commemorate Mr. Tan Beng Swee, a local millionaire. The design and colour of the tower was chosen to blend in with the Stadthuys and other buildings in ‘Dutch Square’. 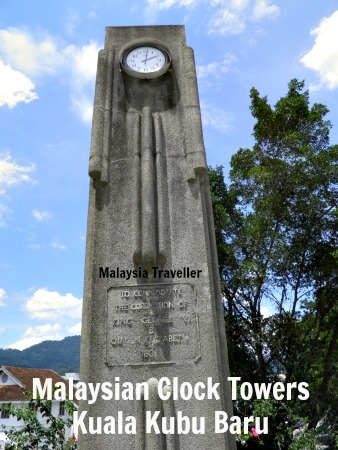 This clock tower commemorates Merdeka in 1957. The structure is topped with the pointed Minangkabau style roofline typical of Negeri Sembilan. 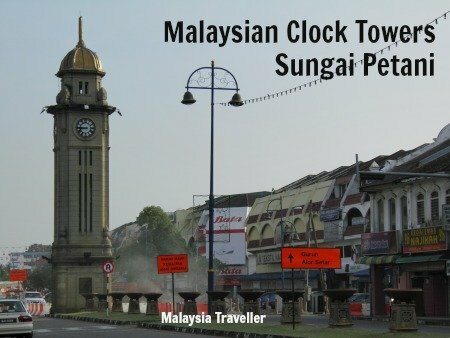 This clock tower is a recent landmark at Nilai Square. This clock tower occupies pride of place on a busy traffic roundabout close to the centre of town. 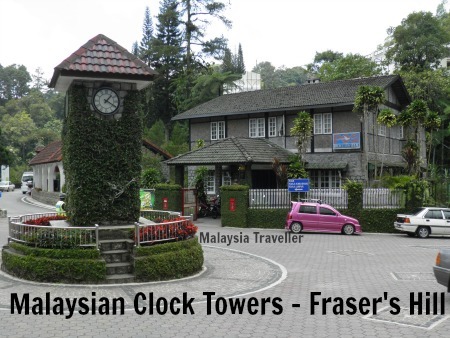 The quaint clock tower at Bukit Fraser serves as a traffic roundabout and is one of the most photographed landmarks in the hill station, along with the adjacent post office. Covered in creeping vines, it looks very old but apparently was only built in 1989. This attractive four-tiered tower was commissioned by local millionaire Cheah Chen Eok to mark Queen Victoria’s diamond jubilee in 1897. It is 60ft high, one foot for each year of her reign. The tower is leaning slightly due to the area being bombed during the war. 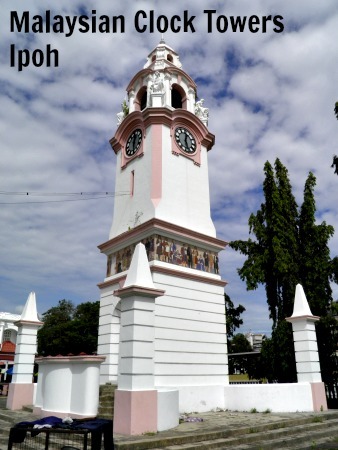 The Birch Memorial was built in 1909 to commemorate the first British Resident of Perak State, JWW Birch, whose somewhat heavy-handed attempts to extend British authority over the area resulted in him being stabbed to death in 1875. 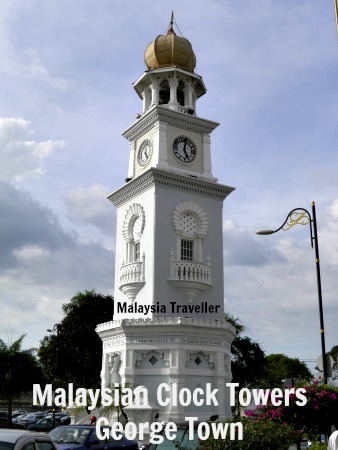 This clock tower was erected in 1957 to commemorate the independence of Malaya on 31 August 1957. It's smaller than it looks. 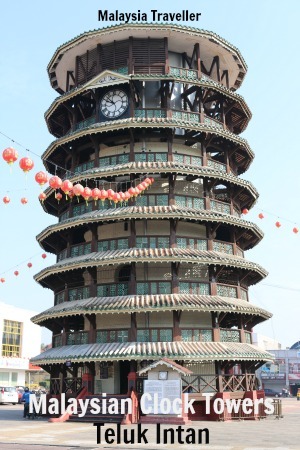 This 25 meter high clock tower in the small Perak town of Teluk Intan is Malaysia's answer to the Leaning Tower of Pisa. 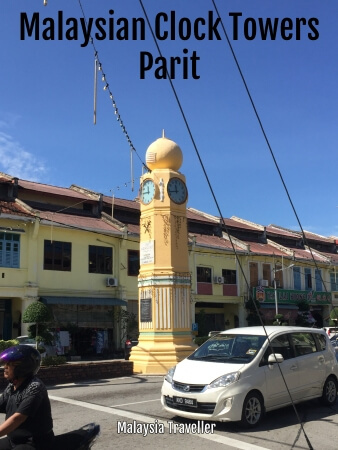 This Moorish style clock tower is painted yellow to match Parit town's colour scheme. The plaque on the tower commemorates the country's independence on 31 August 1957. 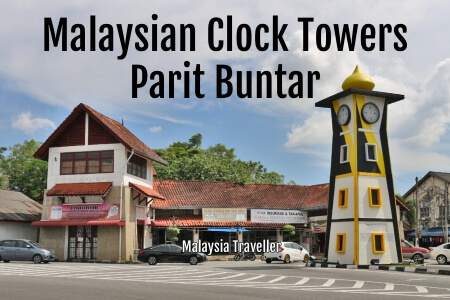 This landmark painted in the colours of the Perak flag sits prominently on a roundabout in the heart of Parit Buntar. It was officially put into operation on 24 August 1961 by the then Prime Minister of Malaya, Tungku Abdul Rahman. This wooden structure stands on Signal Hill Road overlooking the town. 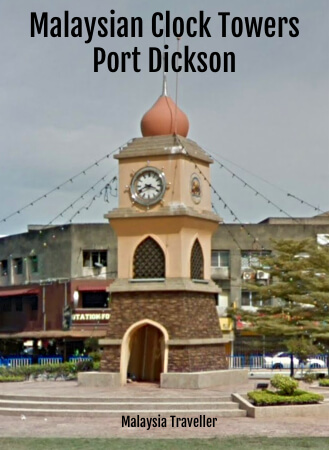 It was built in 1905 and named after Francis George Atkinson who was the first District Officer for Jesselton. The clock tower is one of the few structures left standing after the town was heavily bombed during WWII. 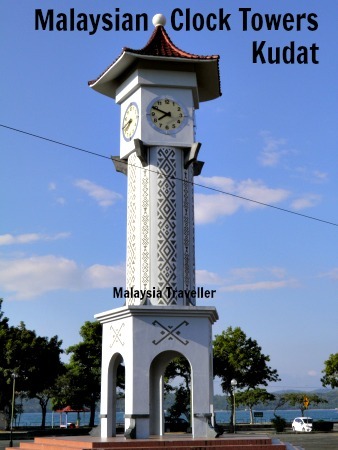 This modern clock tower can be found at the Esplanade in Kudat town. 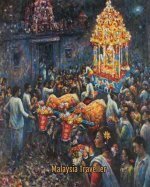 It is decorated with Sabahan designs. This rather tired looking clock tower is in need of some TLC. 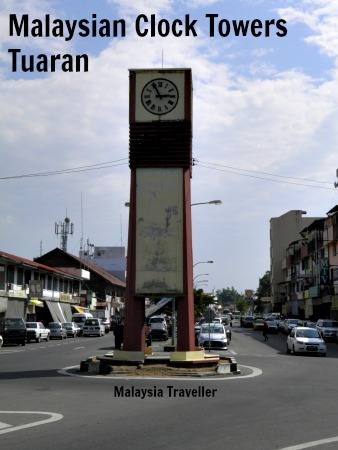 It serves as a roundabout in the town of Tuaran. This art deco style clock tower commemorates the coronation of King George VI in 1937. 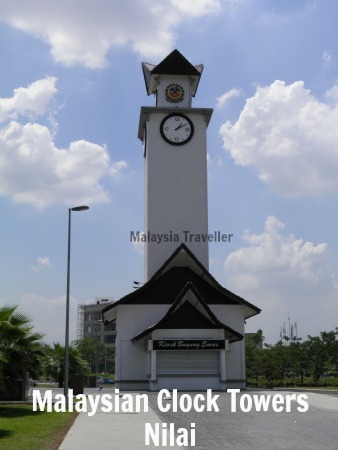 This clock tower is part of the Selangor Tourist Information and Craft Centre in Shah Alam. 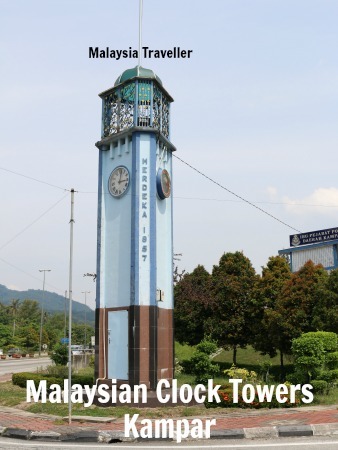 This completes my list of Malaysian Clock Towers. I may add a few more to this list in due course.